Joe Eugene Mann was born on July 8th 1922 in Reardon, Washington as a son of John and Anna Mann. Joe was raised in a big family. 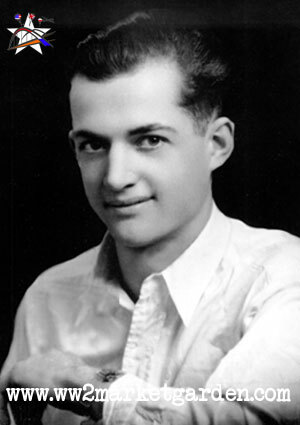 He grew up on a farm with eight brothers and sisters; Frank, Roy, Eleanor, (Joe), Jack, Harold, Helen, Irene and Donald. Frank was the oldest and Donald the youngest. Joe was a kind and wonderful child, who was always willing to help everyone in the family or in town. He was a creative soul who saw a solution to any problem. Where others stopped, he was persistent and followed through. You can imagine that this was a handy trade in the Paratroops! Just one year after his graduation from Reardan High school, just like his brothers Roy and Jack, Joe joined the army. He enlisted in August 1942 and received his basic training at Fort Lewis, Washington. At first Joe wanted to become a pilot, but was rejected due to an old injury in his back. He got injured in High School while playing football. Then he decided to become a paratrooper. Joe Mann originally trained with Company G of the 506th parachute infantry regiment at Toccoa, Georgia, and soon made friends. Joe was a very good soldier and loved the soldier’s way of life. His motivation sadly provided him with a couple of enemies. A sergeant in Joe’s unit didn’t like Joe, he made sure that Joe was transferred to a different outfit. Joe promised to prove himself and show the unit and especially that sergeant that he would be an outstanding soldier. Just a month before the division was sent to England in 1943, Joe was reassigned to Company H of the 502nd PIR. In England the regiment received further training for D-day. Joe missed D-day because of problems with his back, but he would prove himself in the Netherlands during Market Garden. Joe was a scout for 2nd platoon Company H.
Together with Sgt James Hoyle Joe took out numerous enemy troops in Best and fought as a one man army, inspiring his brothers in arms around him, in a desperate situation at the bridge. In two days of combat, Joe was wounded four times. One bullet through each shoulder and arm, but he still insisted to do his job on the line. During an attack on September 19th, the enemy attacked with great force, lobbing grenades as they moved forward. One of the grenades landed in the trench where Joe sat. He yelled ‘grenade!’ and threw his body on top of the explosive, hereby protecting his buddies who were also in the trench. His buddies were saved, but Joe died moments after the explosion. With this action Joe earned the Congressional Medal of Honor. His citation is listed lower on this page. Over the years, Joe’s family visited Best numerous times, honoring Joe for what he has done. In honor of what Joe Mann did, the village of Best erected two monuments, which carry Joe’s name. In the Zonsche forest you’ll find the pelican monument. Depicting the mythical story of a pelican piercing her chest, sacrificing herself in order to feed her babies with blood and flesh. 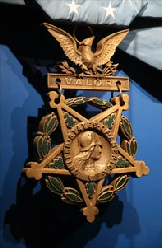 The second monument is placed close to the bridge at Best where Joe earned his medal of honor. Next to the monuments, Joe left an impression in Best. The theatre in the forest, a road and a small restaurant next to the theatre carry Joe’s name and there is no one in Best who doesn’t know the story of Joe E. Mann. 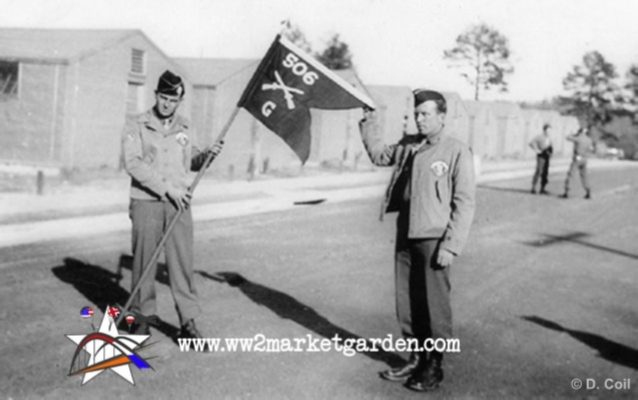 Photo: Joe E. Mann (left), as a member of Company G 506th Parachute Infantry Regiment, holding the regimental guidion. For conspicuous gallantry and intrepidity in action at the risk of his life above and beyond the call of duty: He distinguished himself by conspicuous gallantry above and beyond the call of duty. On 18 September 1944, in the vicinity of Best. Holland, his platoon, attempting to seize the bridge across the Wilhelmina Canal, was surrounded and isolated by an enemy force greatly superior in personnel and firepower. Acting as lead scout, Pfc. Mann boldly crept to within rocket-launcher range of an enemy artillery position and, in the face of heavy enemy fire, destroyed an 88mm gun and an ammunition dump. Completely disregarding the great danger involved, he remained in his exposed position, and, with his M-1 rifle, killed the enemy one by one until he was wounded 4 times. Taken to a covered position, he insisted on returning to a forward position to stand guard during the night. On the following morning the enemy launched a concerted attack and advanced to within a few yards of the position, throwing hand grenades as they approached. One of these landed within a few feet of Pfc. Mann. Unable to raise his arms, which were bandaged to his body, he yelled "grenade" and threw his body over the grenade, and as it exploded, died. His outstanding gallantry above and beyond the call of duty and his magnificent conduct were an everlasting inspiration to his comrades for whom he gave his life. Video: The Joe Mann Story (1960) tells us the story of Pfc Joe E. Mann, paratrooper of the 502nd Parachute Infantry Regiment, 101st Airborne Division. Watch and listen to the story of Joe E. Mann, who won the Congressional Medal of Honor for his actions during the Battle at Best on September 18 1944.